I first came across this little gem when I watched a step by step youtube video of Matthew Evans of Welsh Heritage Decor, hand painting a kitchen. I sent Matthew a tweet (@welshheritage) asking what paint kettle he was using. 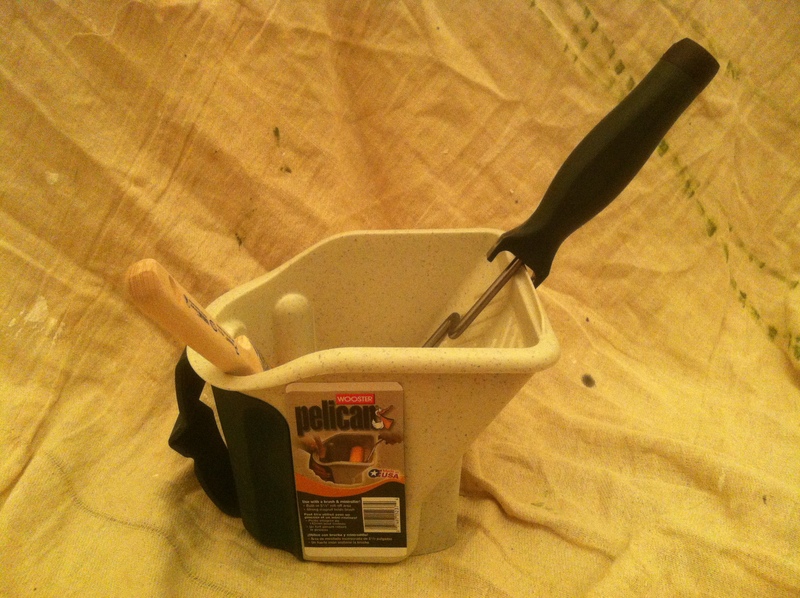 He replied; “Wooster Pelican with liner, great bit of kit perfect when using a brush and mini roller”, I searched for them online and found them for sale at MyPaintbrush.com. Now that I have received my Pelicans and liners, I can confirm, Matthew was right. 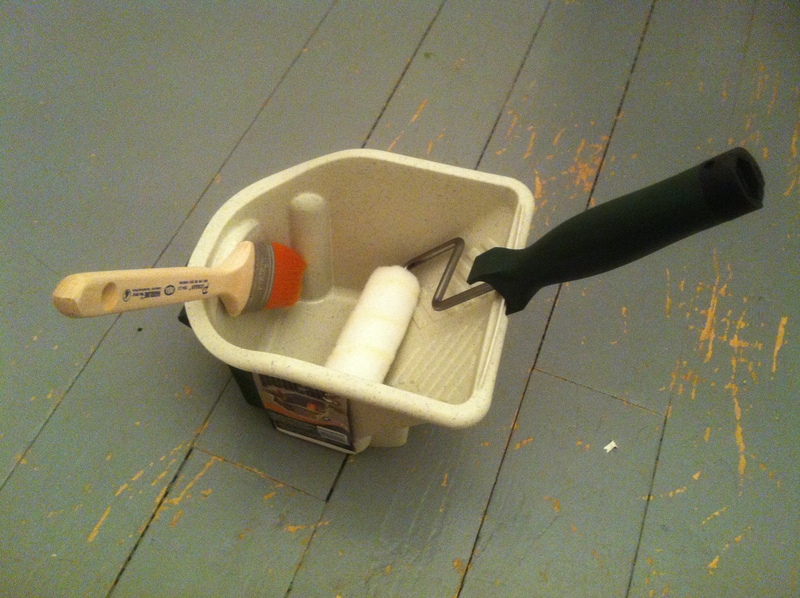 The kettle is proportionally perfect; it is balanced, has a strong magnet so that the ferrel of the brush is held firmly in place – so the brush does not fall in the paint and works brilliantly as a roller tray. Which allows me to move around my project both efficiently and effectively with minimal risk of paint spillage. Above you can see it pictured holding a *2″ Picasso paint brush and a 4.5″ Wooster Jumbo-Koter mini roller (please note; no liner in this shot)… The liners are a great touch too – they keep the kettle clean and allow for easy colour changes. All-in-all a fantastic find, I’m extremely grateful to Matthew for his recommendation! This entry was posted in Uncategorized on November 10, 2012 by mjguestltdblog.